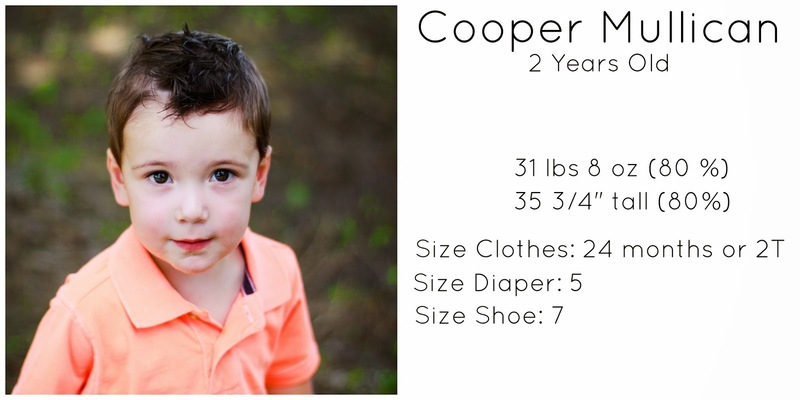 We had Cooper's 2 year old well-baby check-up the week after his birthday. This was the longest stretch that we've been with Cooper without a check-up. His last one was his 18 month check-up in January. Just like his whole life, dude is very proportional! He's big (but not topping out the scales), but he's super proportional. Which is think makes him look bigger than he is? I don't know. But I'm happy with his growth and everything! At 18 months, he was a good bit taller than she was at that age. At 2 years, the gap is smaller than it was. But it's still funny that Matt and I have such tall children! -They checked his hemoglobin and it came back fine. He also didn't even flinch when they pricked his finger! -She said he was good to drink 2% milk. This makes it so much easier because now he and LL drink the same thing. Finally! We also talked about how he hasn't been loving milk as much lately and she said that's fine! She said milk has really no nutritional value that he can't get from other places, so if he doesn't love it, that's okay. We can get him those things from other sources. We've started just giving him milk at breakfast and dinner and giving him water with a splash of V8 at lunch. So far that's working well! -We talked about his speech. She said just to continue with the path that we're on. 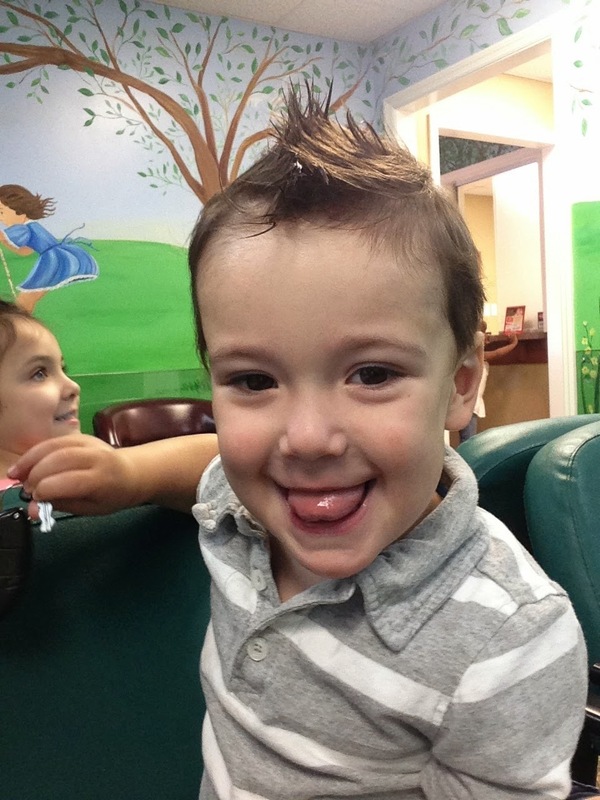 -We told her that we have taken him off of all of his reflux meds because the chiropractor is working. She said that was great news. I thought that he would be getting some shots this visit, but he didn't! And he doesn't go back for a whole year!